Indonesia, the world’s largest Muslim country, recognizes officially six religions: Islam, Protestant Christianity, Catholic Christianity, Hinduism, Buddhism and Confucianism. Judaism is not one of the principal religions in this island-country, although Jews were present there constantly during the last four hundred years, at least. However, notwithstanding the long history of Jewish presence in the archipelago, after World War II most of the Jews left Indonesia and today they number only about twenty persons. The first Jews arrived in Indonesia in the 17th century, as part of the clerks and traders operating the large commercial company “Dutch East Indian Company” (VOC). The company, which focused its activity in Asia in the Indonesian archipelago, initiated wars, constructed fortresses and signed agreements throughout Asia, was liquidated in 1800; all its assets, which included most of the area of the island of Java and part of the other islands, were taken over by the Dutch and became a colony named the Dutch East Indies. The first written report on Jews in Indonesia, familiar to us today, was written by Jacob Halevy Saphir (1822–1886), who was sent as a rabbinical emissary from Jerusalem and arrived in the archipelago in 1861. In his book, Saphir reports the existence of approximately twenty “Ashkenazi” Jewish families from Holland in Batavia (today Jakarta), in Surabaya and in Semarang, but expresses his concern for their future since they do not conduct Jewish traditions and many are married to non-Jewish women. Saphir also argues that, at his request, the Amsterdam community sent a rabbi to the archipelago, who attempted to organize community life in Batavia and in Semarang, but the rabbi died before consummating his work #1 . A group of Jews from Iraq (mainly from Bagdad and from Basra) and from Aden also settled in the islands, but it appears that from a religious standpoint this wave of immigration did not make a significant impact. 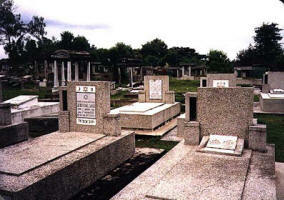 In 1921 another emissary, a Zionist, Israel Cohen, arrived in Java from Eretz Israel. Cohen estimated the number of Jews in Java at that time at approximately two thousand; his reports also argue that the Jews did not conduct community life and many were intermarried. However, perhaps as a result of Cohen’s efforts, Zionist activity commenced and from 1926 to1939 a Zionist newspaper, “Erets Israel” was published in the city of Padang #2 . During the 1930s and early 1940s the Jewish community continued to expand, mainly as a result of arrival of refugees from Nazi Europe, who settled in various districts of the Dutch colony. On the eve of the Japanese occupation (early 1942) the Dutch colony had approximately 3,000 Jewish residents, most of whom were Dutch citizens or citizens of other European countries; some were “Baghdadi Jews”. Shortly after consummation of the Japanese occupation (March 1942), most of the European citizens in Indonesia were sent to internment camps – first military personnel, followed by young men (aged 17-60), and finally most of the European population. At this stage, the Japanese considered the Ashkenazi Jewish population as Europeans for all purpose and the negative relationship was similar to that suffered by the other Europeans. Accordingly, the Bagdadi Jews of Middle Eastern origin and Jews who were citizens of European countries allied with Japan, were not imprisoned. However, in August 1943 the Bagdadi Jews were also imprisoned, together with German and Italian Jews. Kowner argues that the change in the relationship was derived from several elements, including heavy German pressure on the Japanese government to impair the Jewish population, anti-Semitic tendencies among the local population and anti-Semitic tendencies among certain Japanese groups that served as part of the occupying forces in Indonesia. Nevertheless, it should be noted that, as opposed to events in Germany, this change did not constitute part of Japanese ideology or planned policy #3 . At the end of the war, many Jews also suffered from attacks by local youth, who acted violently in favor of Indonesian independence. In light of these events, most Jews left Indonesia during the 1940s and 1950s, and emigrated to various European countries, to the United States and to Australia; few emigrated to Israel. 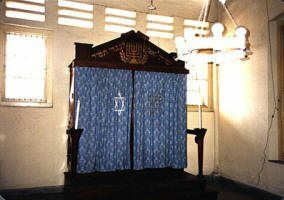 Presently, Indonesia’s Jewish population is estimated to be approximately twenty persons only, most in the capital city of Jakarta and in the commercial city of Surabaya. Several dozens of Indonesian émigrés reside today (2010) in Israel, and most are organized in the “Tempo Dulu” foundation, which was established by Ms. Suzy Lehrer in the mid-1990s. #3 Rotem Kowner, “The Japanese Involvement of Jews in Wartime Indonesia and its Causes”, Indonesia and the Malay World, 38:112 (November 2010):349-371. Dr. Ayala Klemperer-Markman teaches Japanese history at Tel-Aviv University. Her research on the Jews of Indonesia was carried out as part of her post-doctoral work in the department of Asian Studies, University of Haifa, Israel.